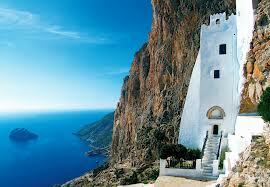 Amorgos is the south-easternmost island of Cyclades. It is located 136 nautical miles from Piraeus, eight hours by boat, about 5.5 hours by speedboat.. Rooms with private balconies overlooking the sea or the mountain, on the magical island of Amorgos. In 2 locations, in the beach of Aigiali and in Langada. Enjoy the endless blue of the island, visit the sights, and the unique monastery of Chozoviotissa. Find yourself in wonderful beaches and have fun at the special nightlife of Amorgos.